It’s not every day NASA comes to central Victoria, so the chance to welcome Exoplanet explorer Dr Jessie Christiansen to Bendigo South East College and the Discovery Science & Technology Centre was grabbed with both hands. 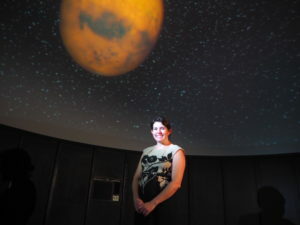 Jessie addressed around 300 secondary students and members of the public and shared her own growing up story, and mapped for young adults her pathway from amateur astronomer at school to NASA via Griffith University and the ANU. She then worked hard to explain how objects as small as planets in far-away star systems can be found using equipment as simple as a telescope (granted, it’s a state-of-the-art telescope in space) and a stop watch. Citizen scientists help detect star light pulsing to the rhythm of planets passing between our Earth and their star. She then explained how other measurements can be made with spectrometry to work out what sort of atmospheres these planets have. 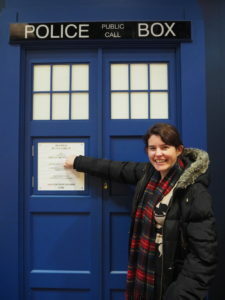 After some engaging questions, it was fun to invite Jessie to Bendigo’s Discovery Science & Technology Centre to meet a small but enthusiastic group of science communicators and educators, and get really impressed with Bendigo Planetarium – hidden behind the doors to a blue English Police Box. 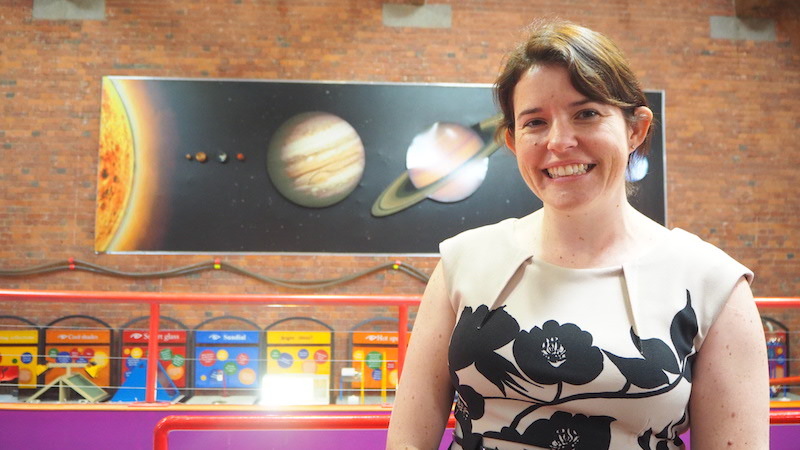 Judging by the social media reaction to Jessie’s visit, there are a lot of supporters for her work inspiring the next generation of scientists and technologists, and particularly her aim to create places in science that are welcoming to everyone.